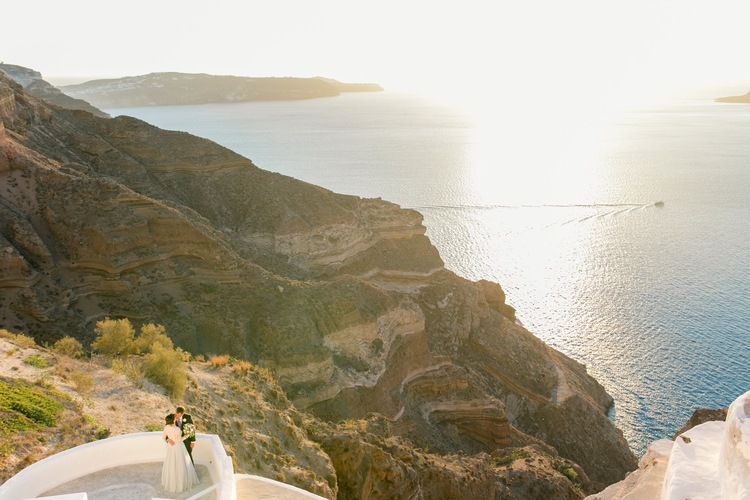 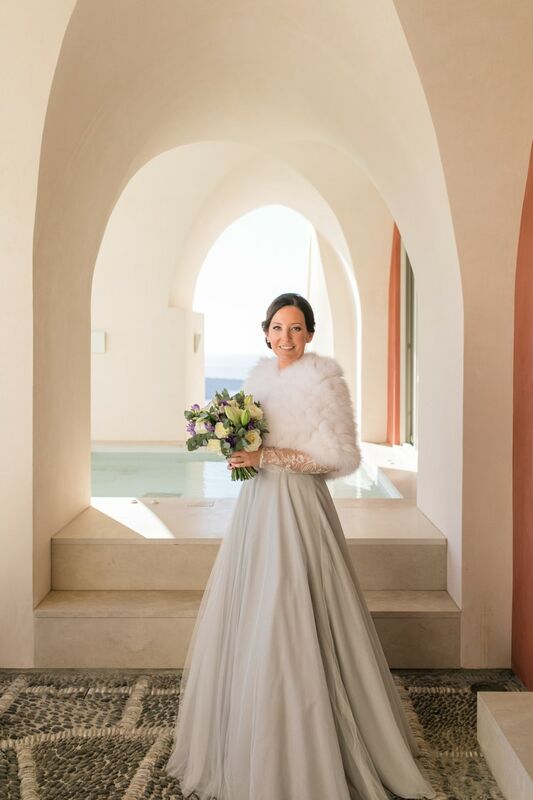 Emma and Rusty chose a breathtaking destination to celebrate their love – the views from this cliffside wedding in Santorini have left me completely speechless. 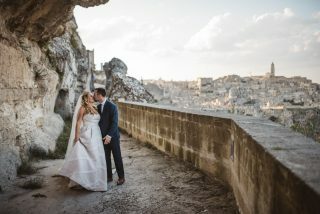 Being avid travelers themselves, I trust Emma and Rusty have seen their fair share of amazing views… but something tells me this one takes the (wedding) cake. 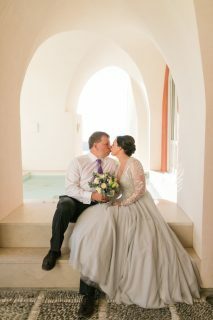 By the looks of these photos, the folks at Roberta Facchini Photography surely had fun at work that day! 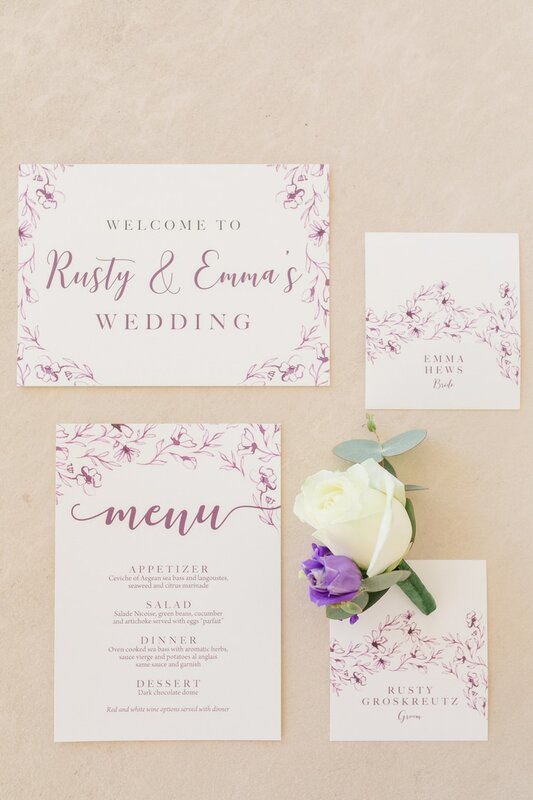 Realizing the overwhelming beauty of their chosen venue and destination, Emma and Rusty chose to keep décor simple and elegant. 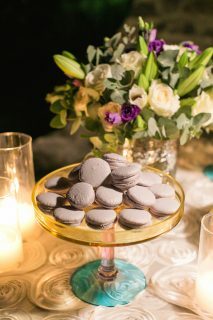 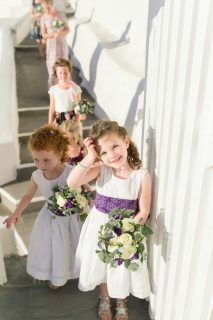 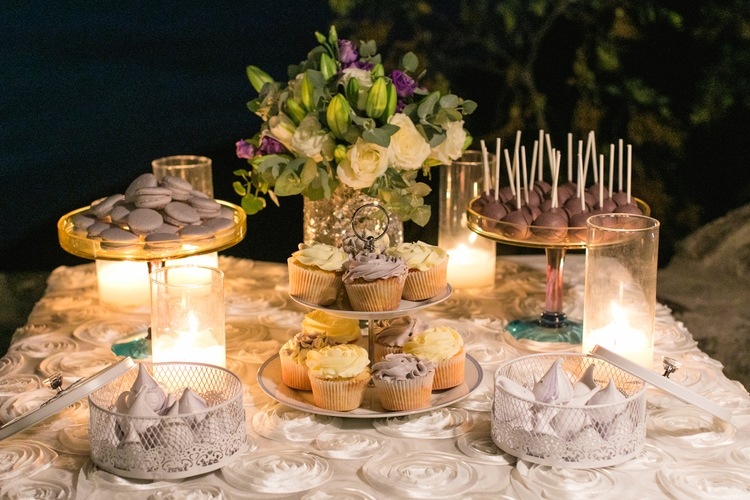 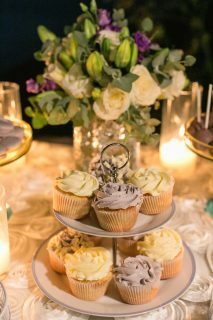 A few pops of purple to represent her favorite color was all that was needed to bring a bit of personalization to the event. 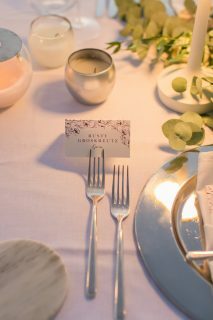 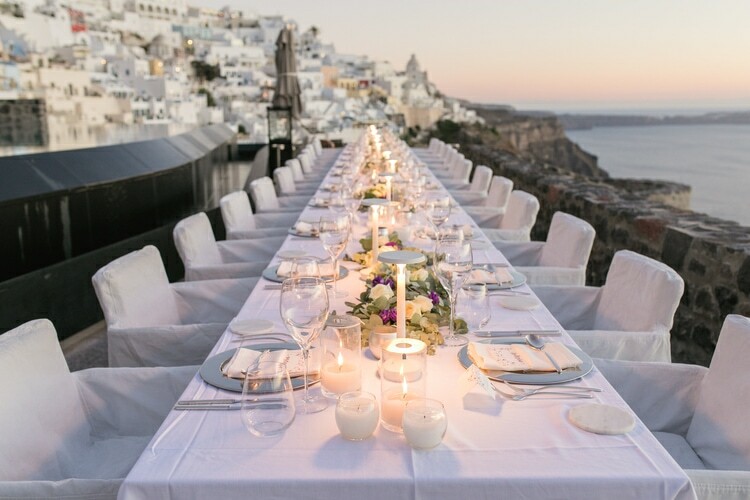 As the sun set over the Aegean, and the light from the lanterns and candles took over, this venue transformed into the most beautiful and romantic dinner party I thought only existed in my dreams! 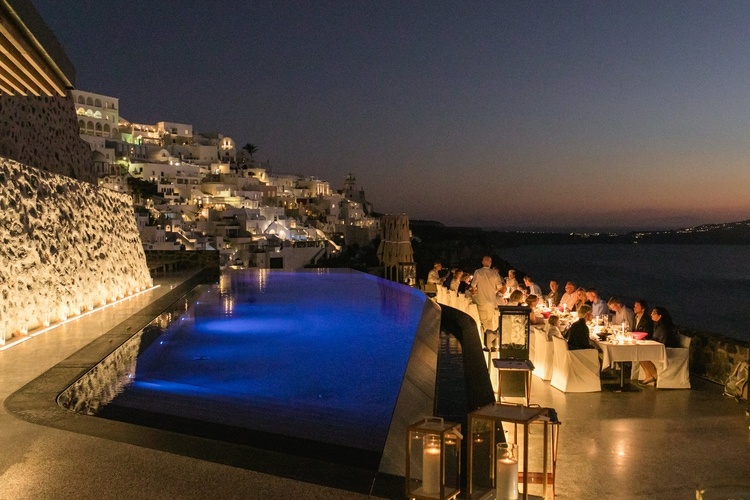 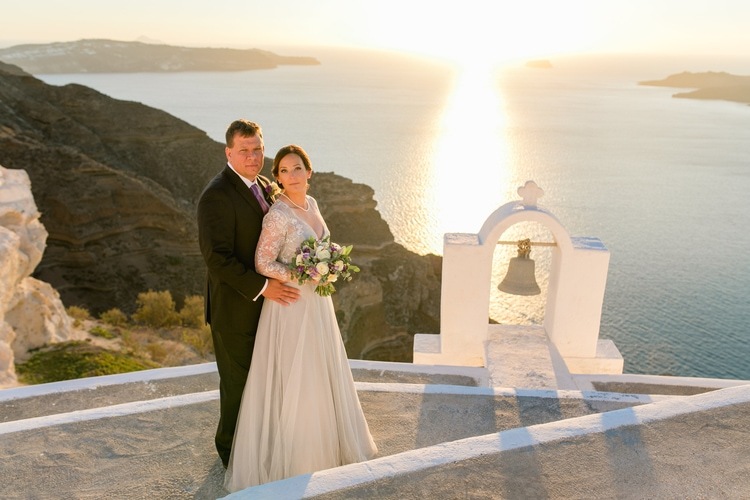 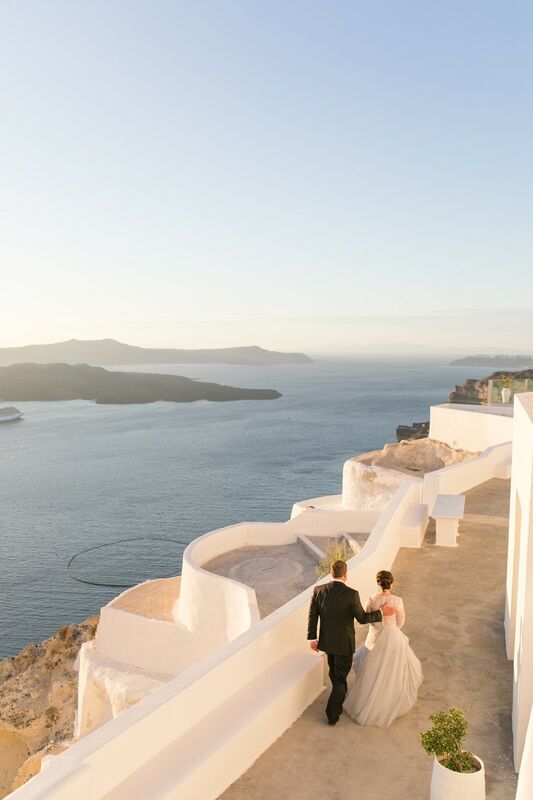 Why did you choose to have a destination wedding in Santorini? 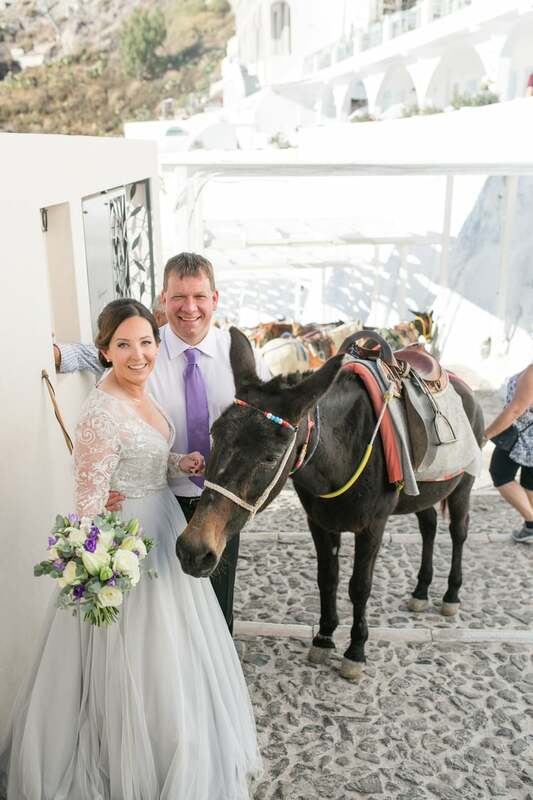 Emma and Rusty are a couple that travels a lot and looking for new adventures and new places to explore is one of the things that they have in common. 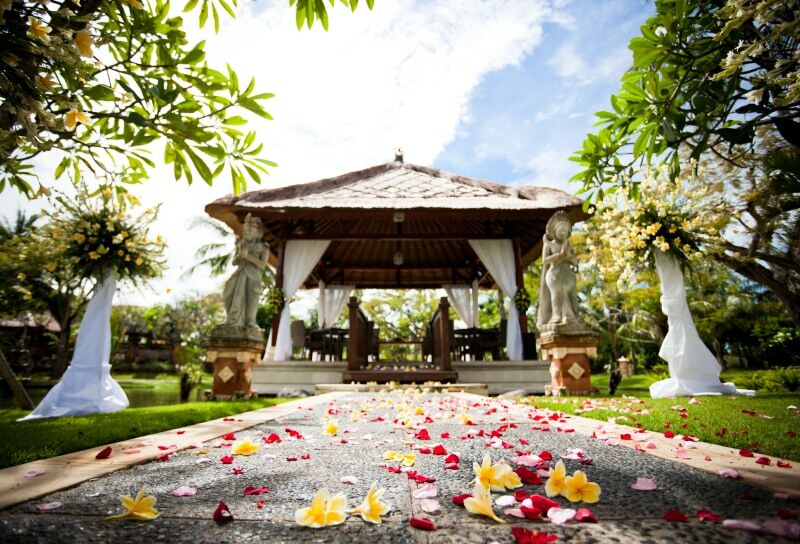 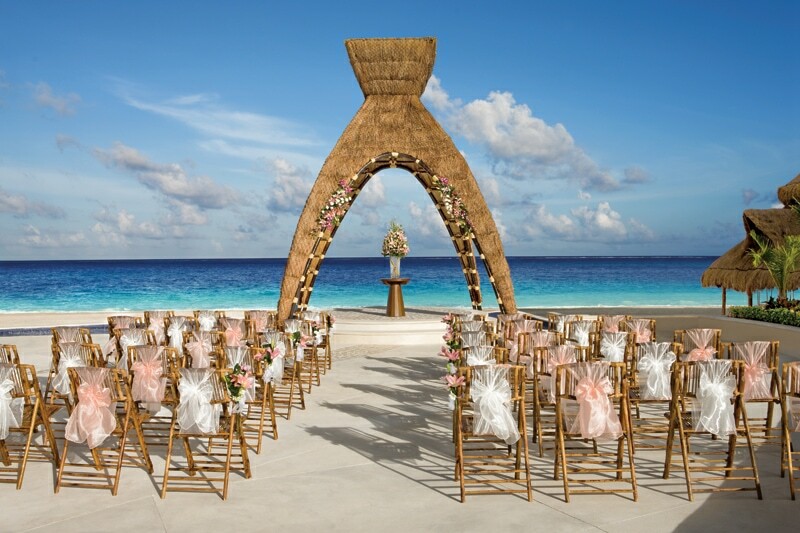 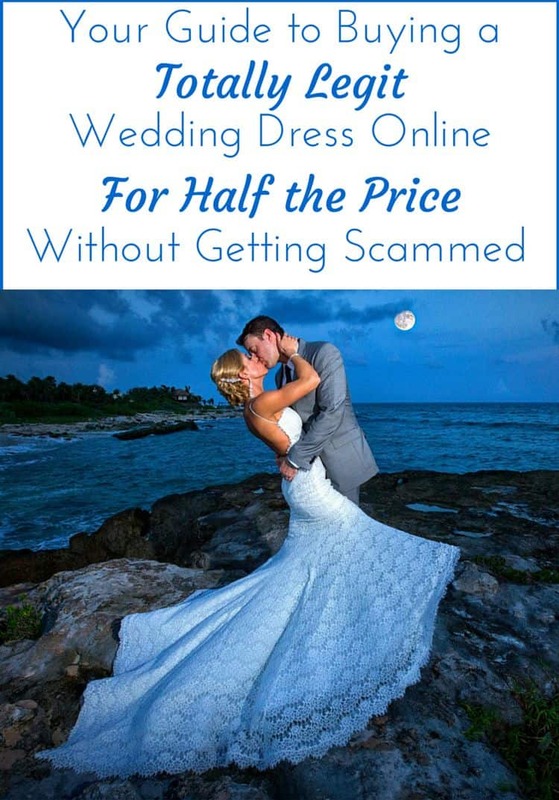 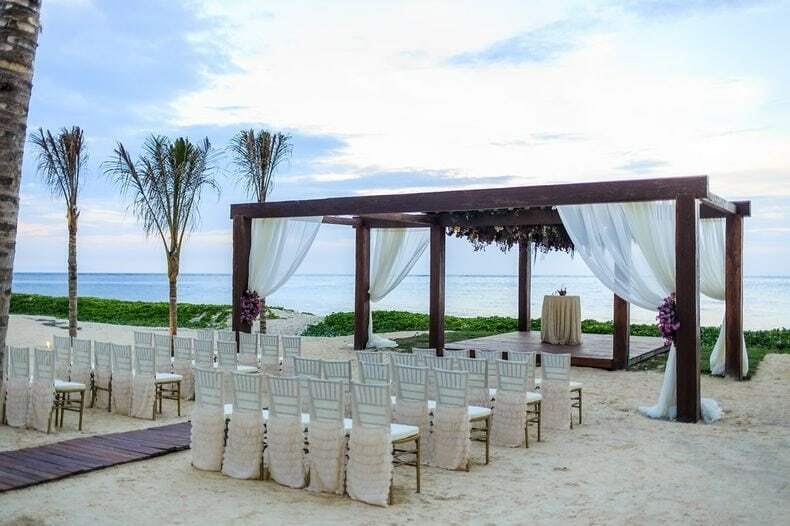 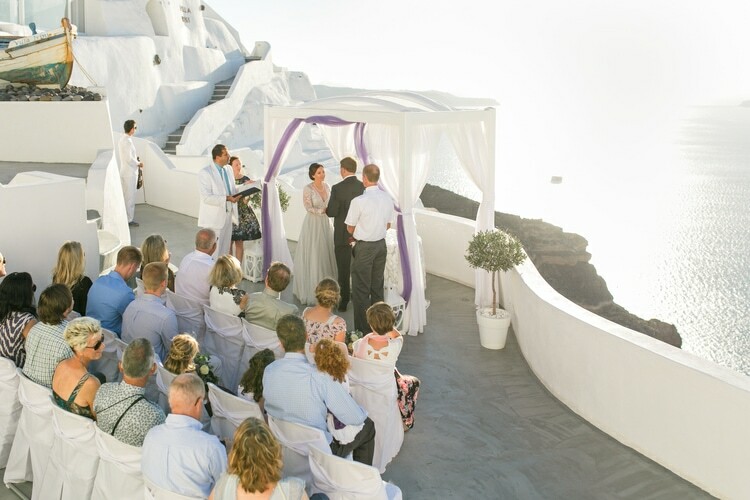 A destination wedding seemed like the natural thing to do for them. 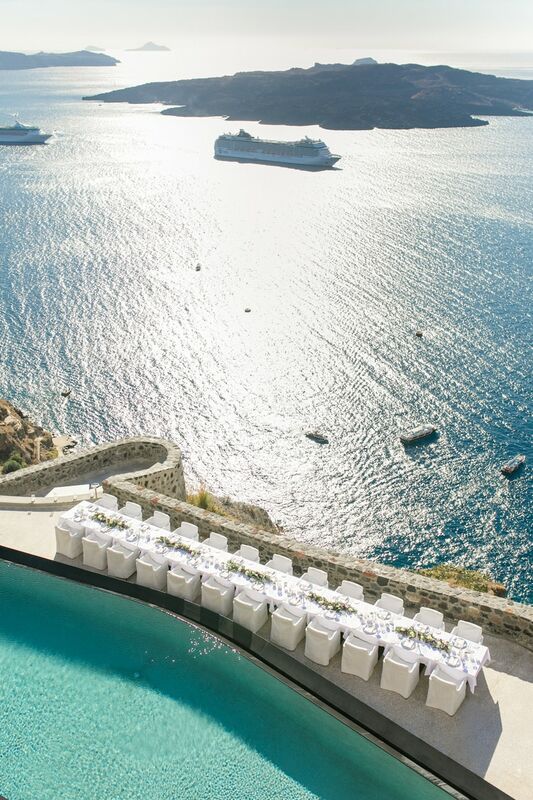 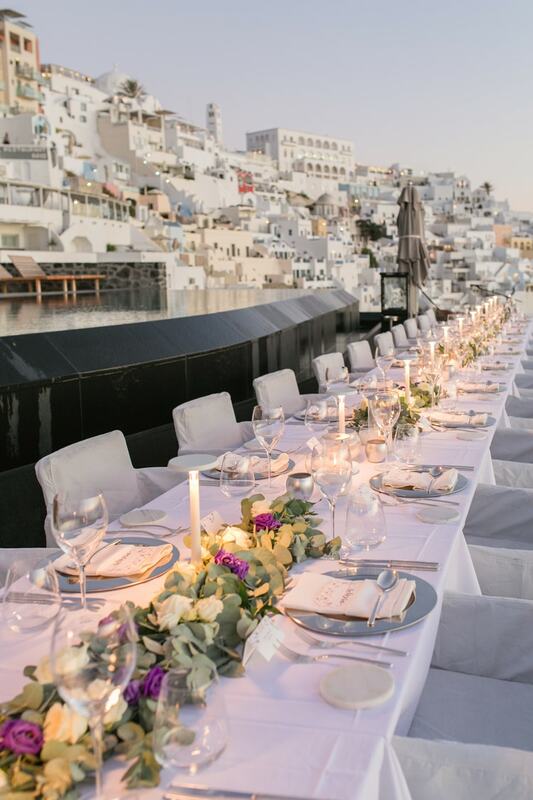 How many people attended your destination wedding in Santorini? 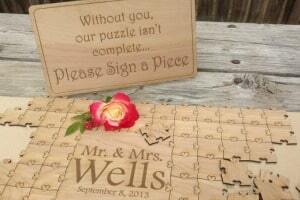 30 close friends and family. 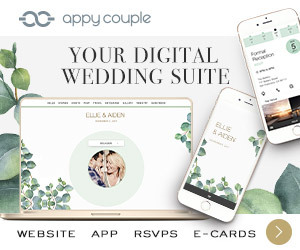 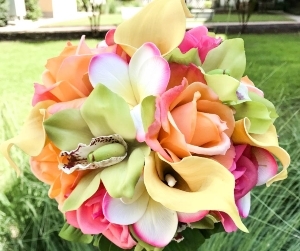 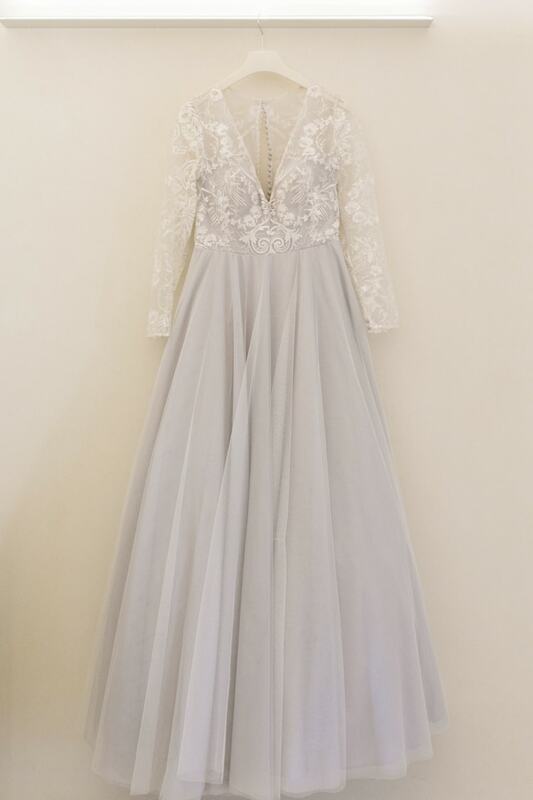 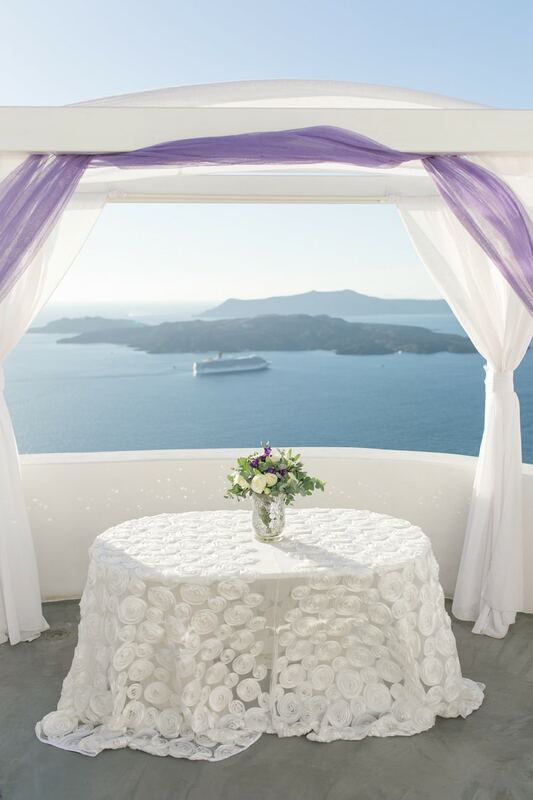 Tell us about your wedding theme. 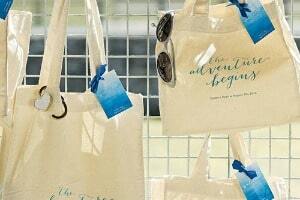 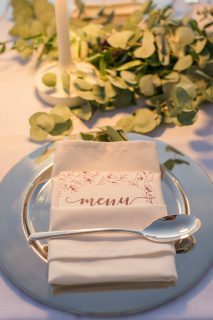 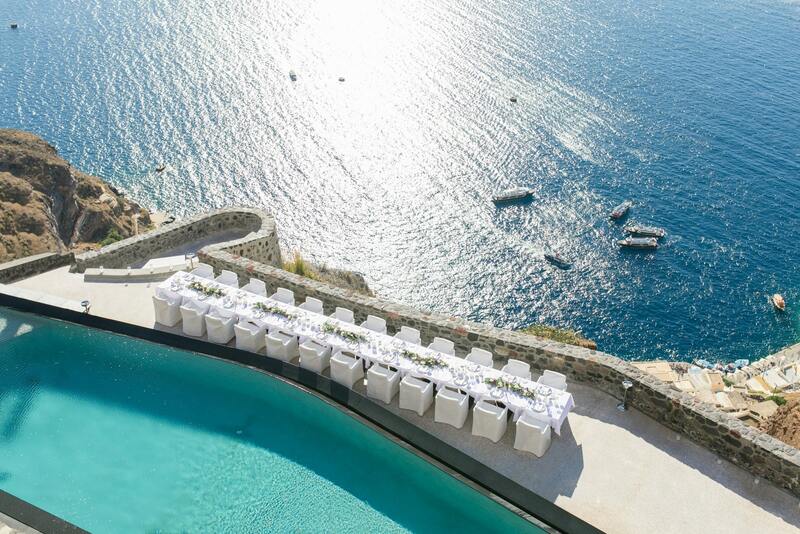 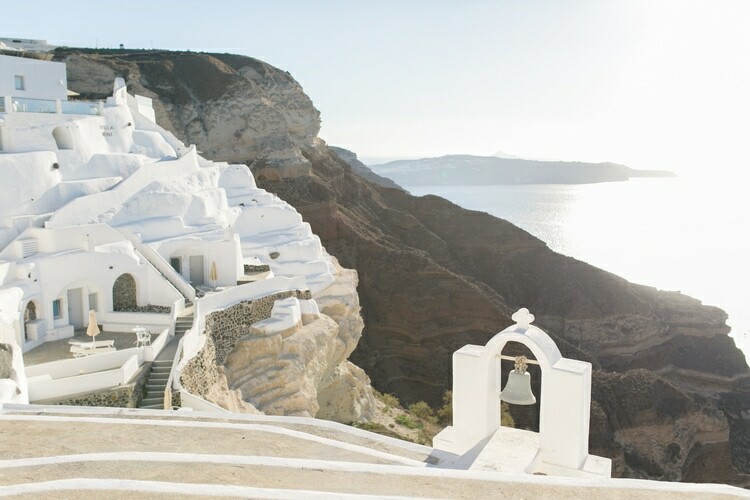 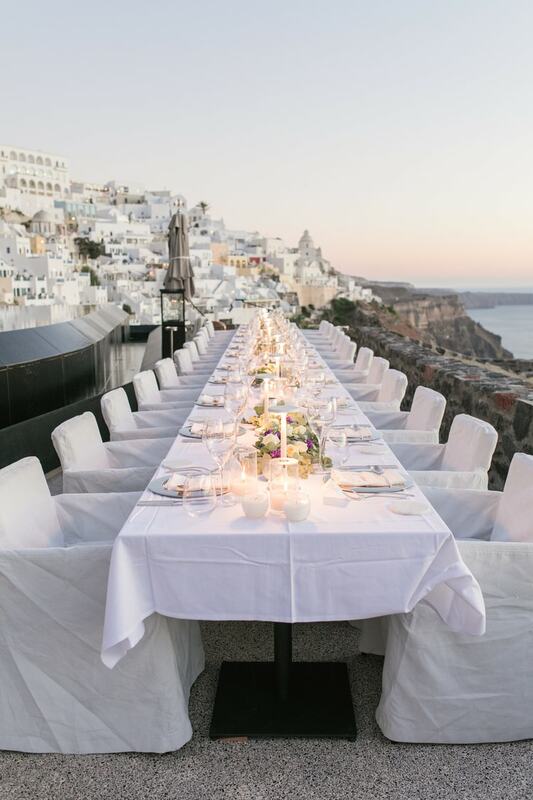 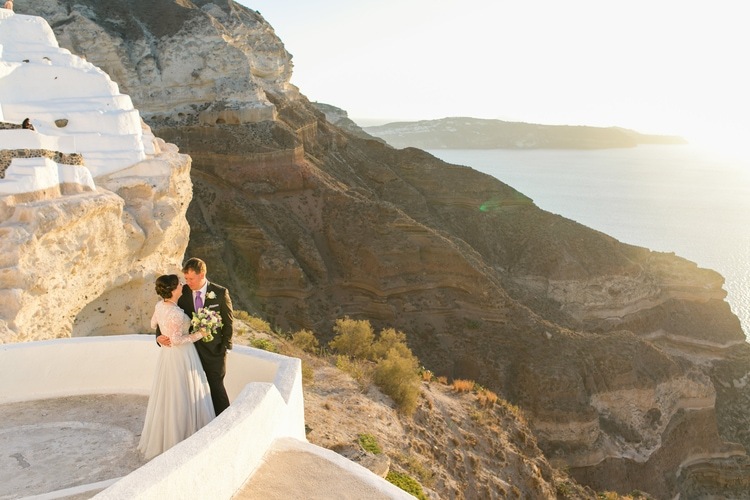 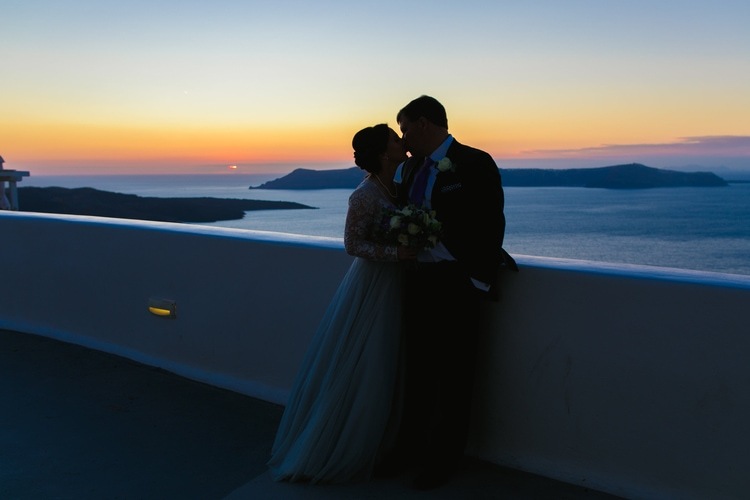 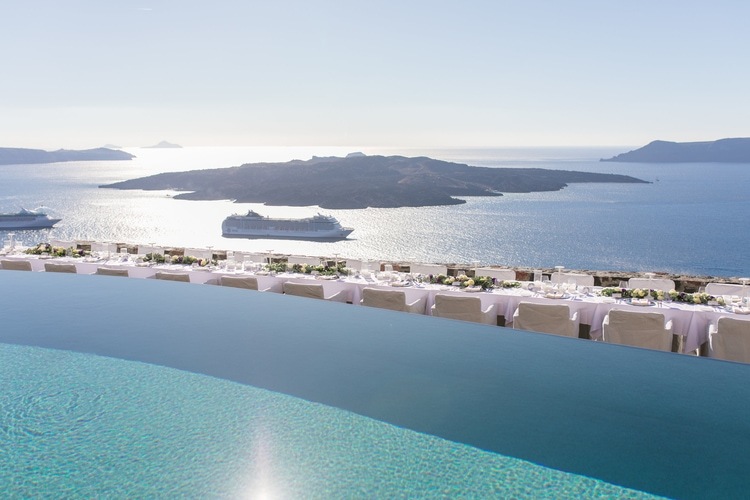 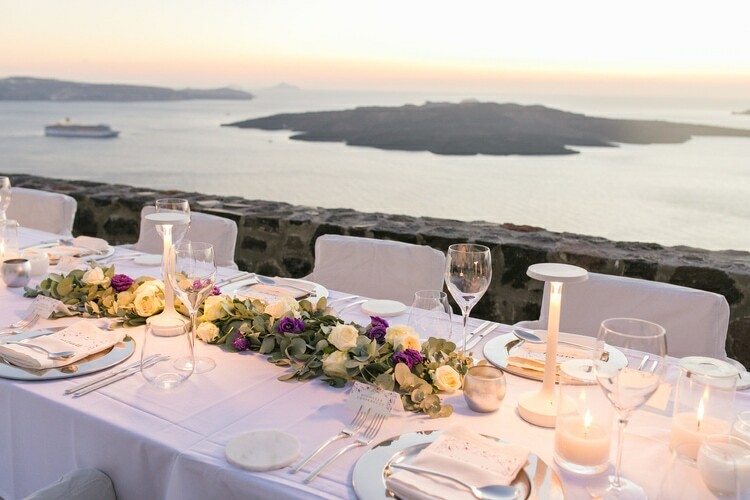 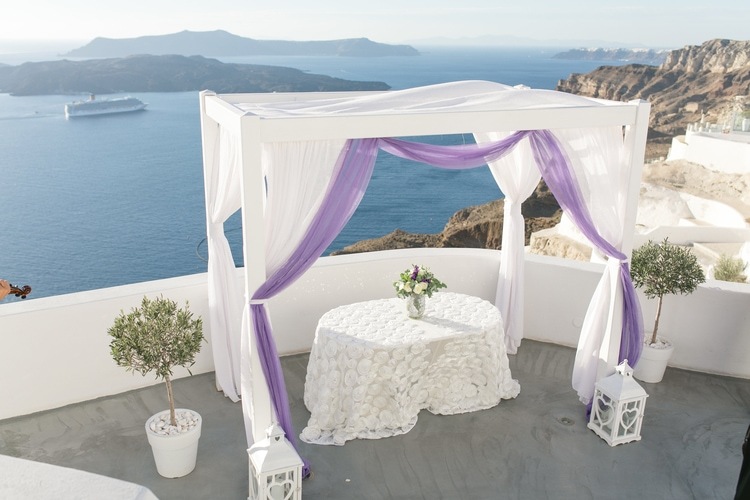 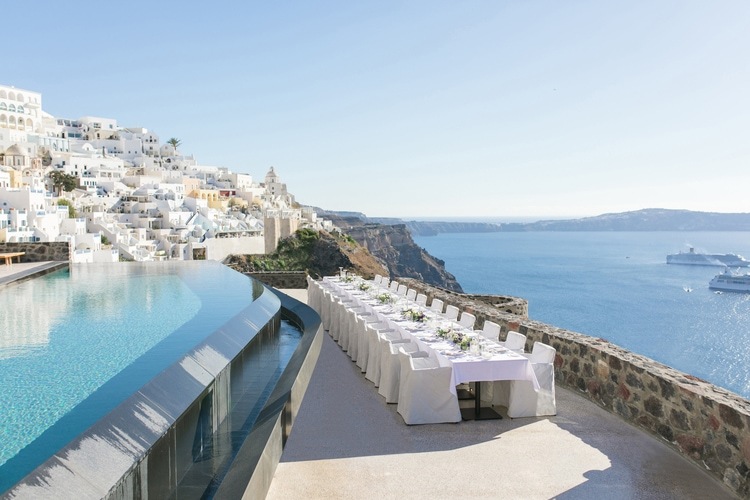 What were your sources of inspiration when planning your destination wedding in Santorini? 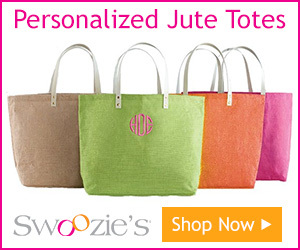 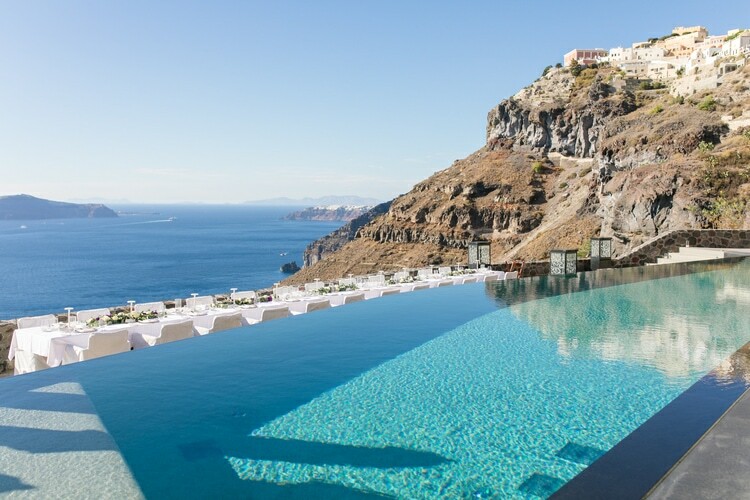 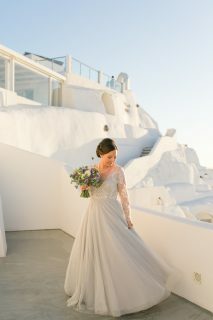 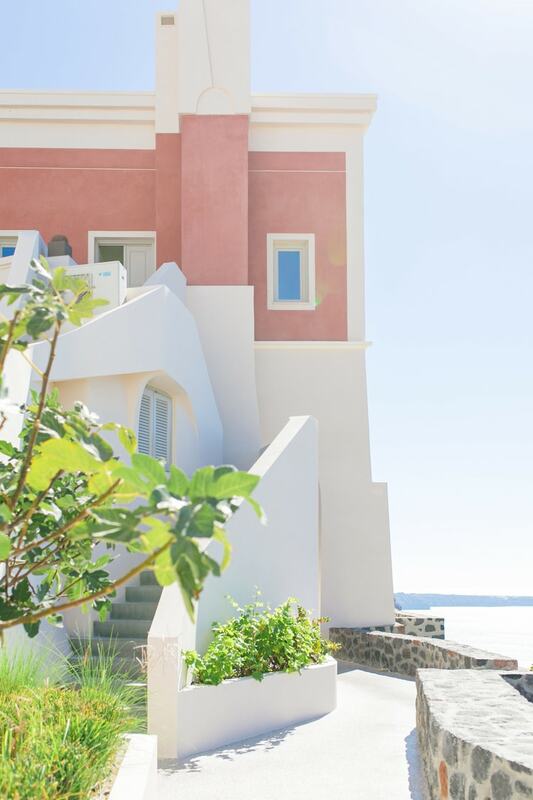 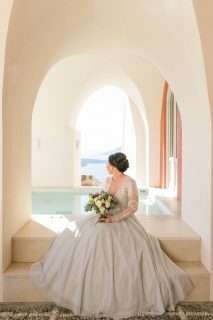 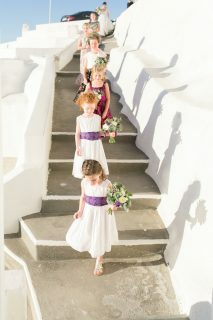 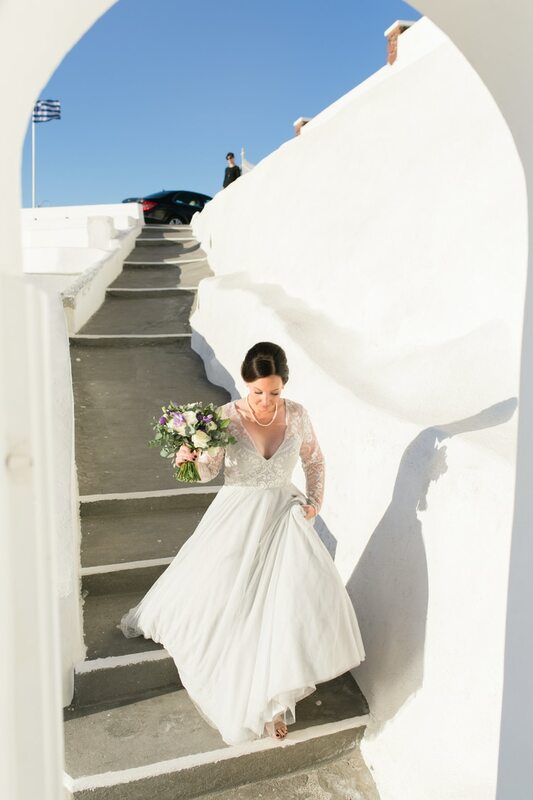 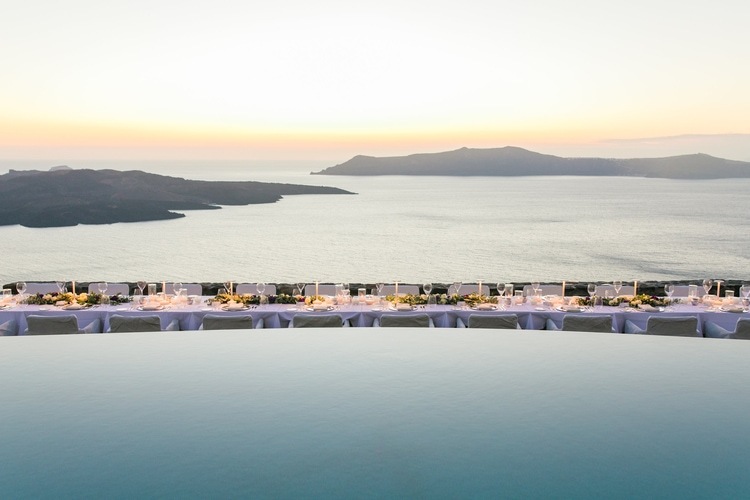 Only a few photos from pinterest, the help of the wedding planners and the views of Santorini. 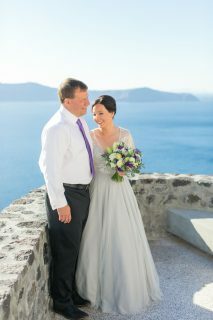 The most memorable part of the wedding was exchanging vows with the sun setting on the Aegean in the background. 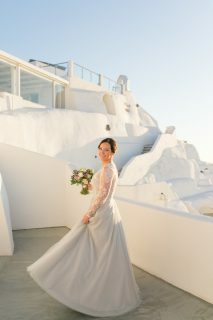 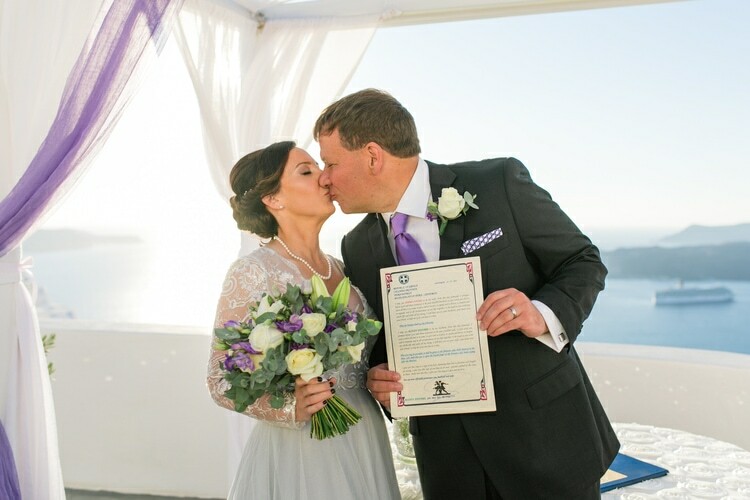 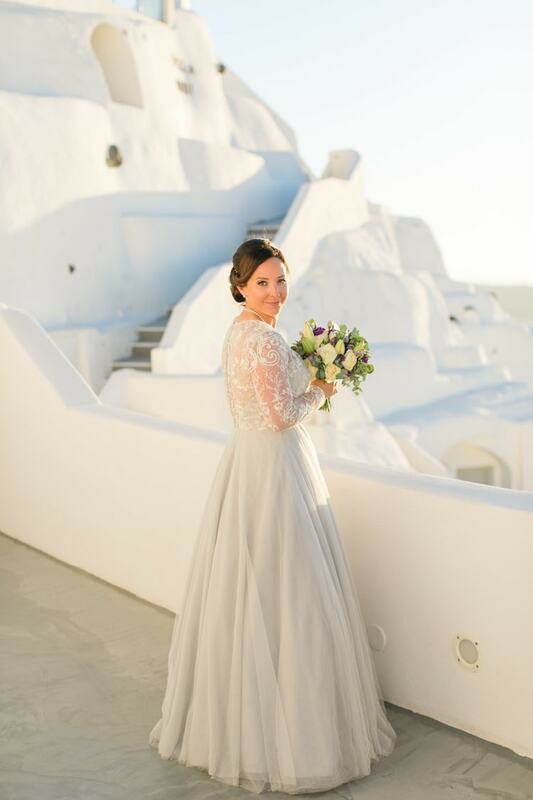 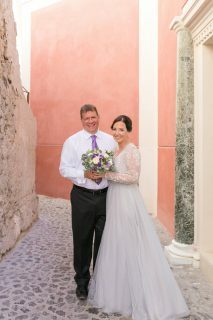 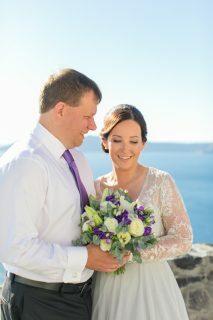 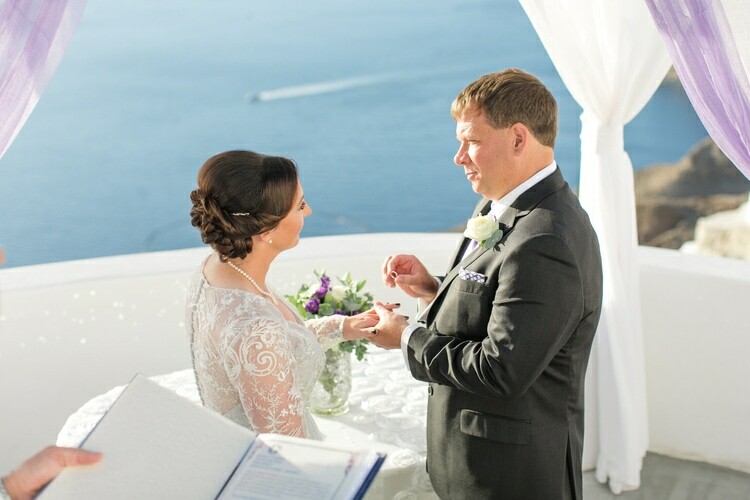 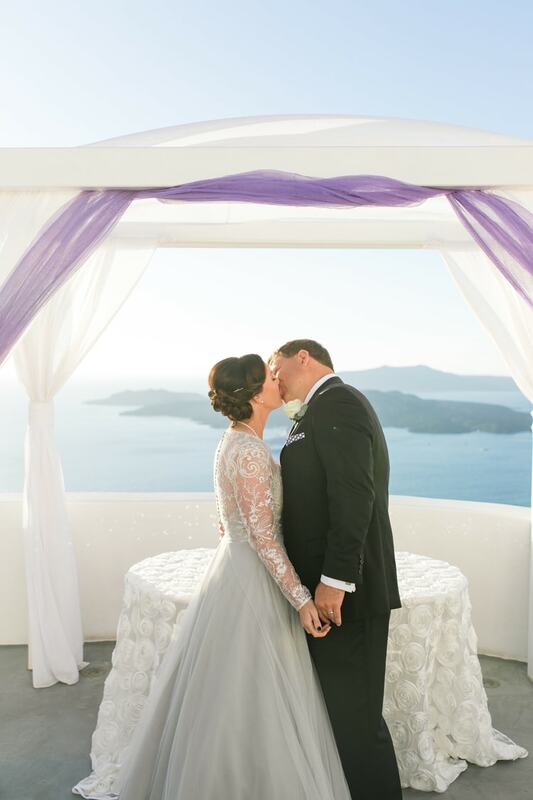 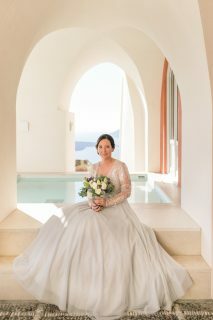 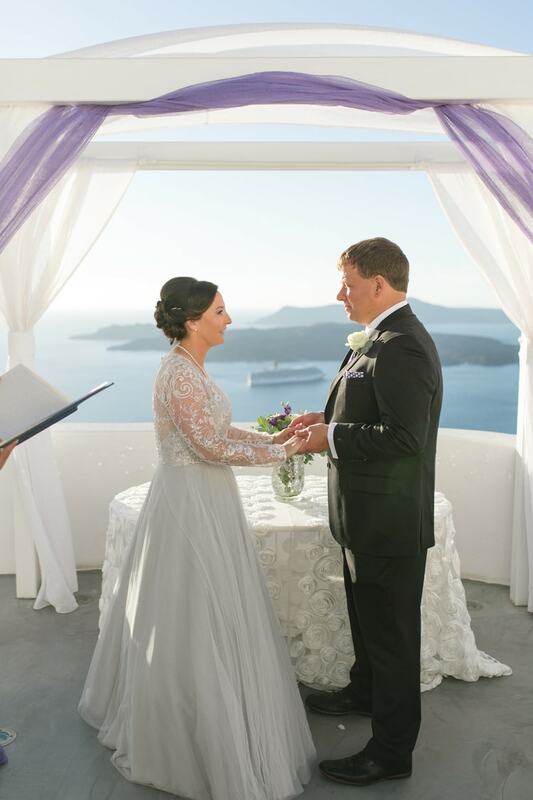 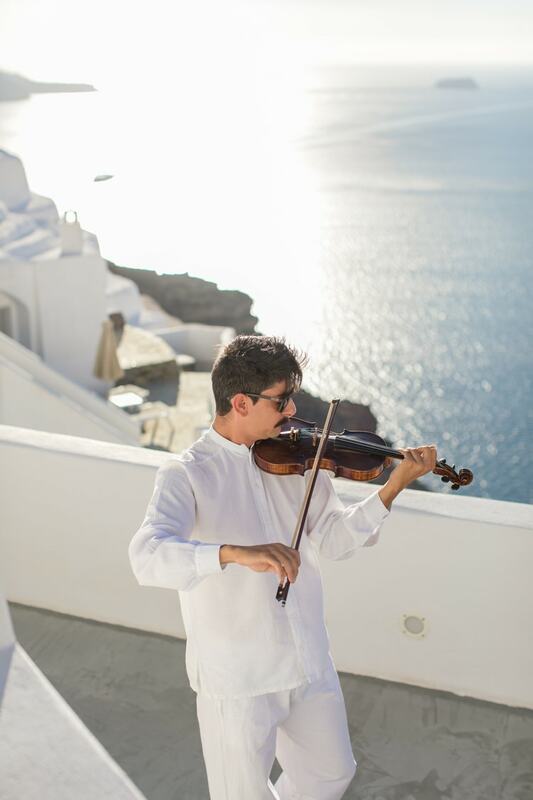 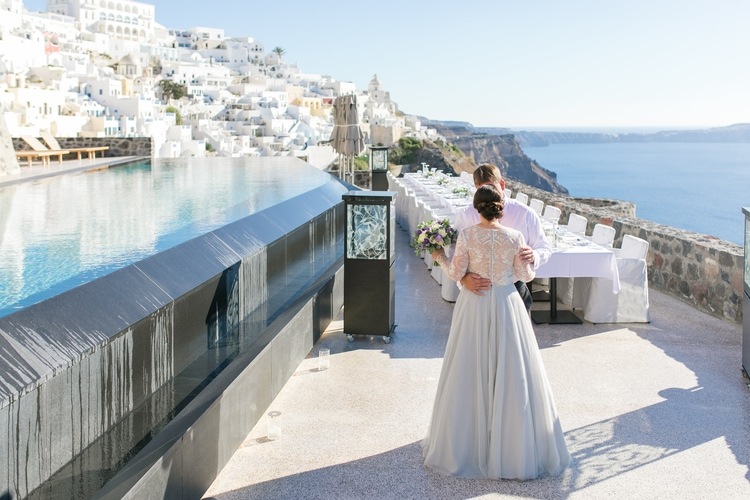 What was your favorite part of having a destination wedding in Santorini? 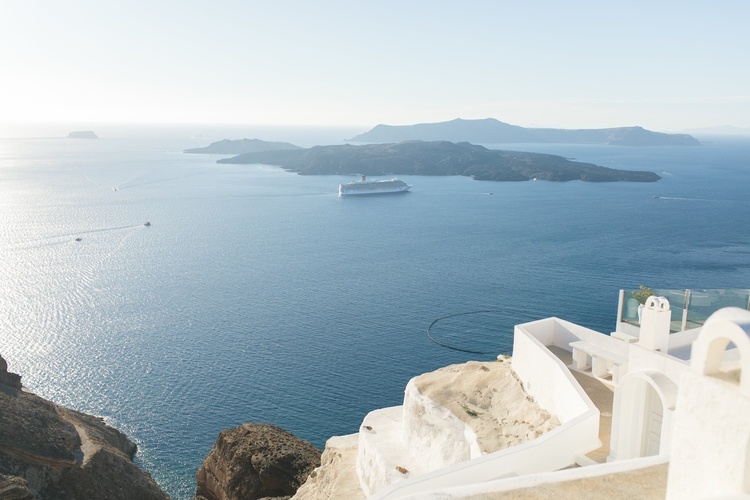 Combining it with holidays, and exploring a new destination and culture with each other. 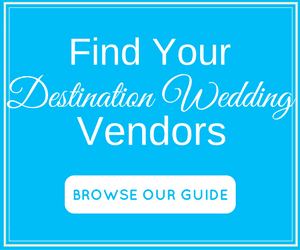 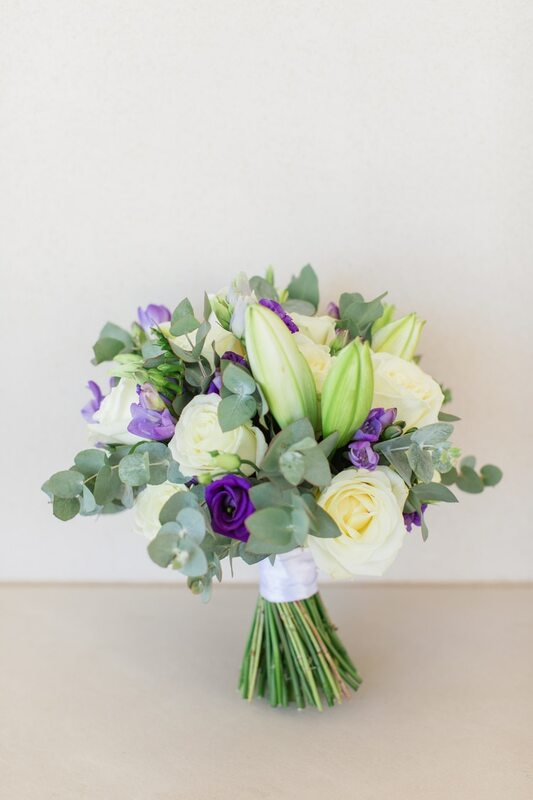 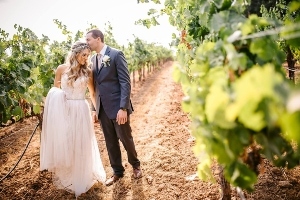 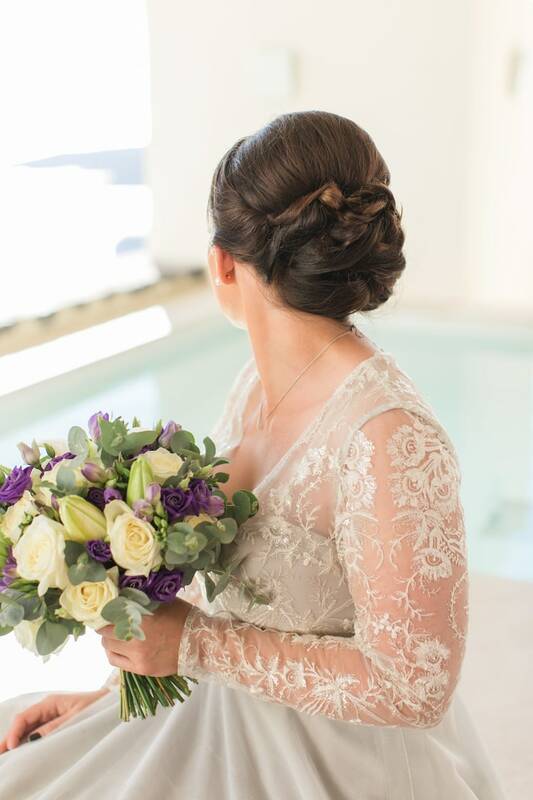 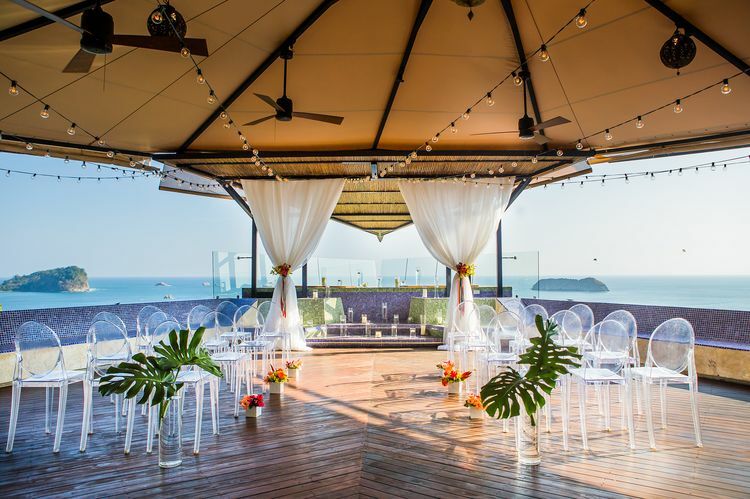 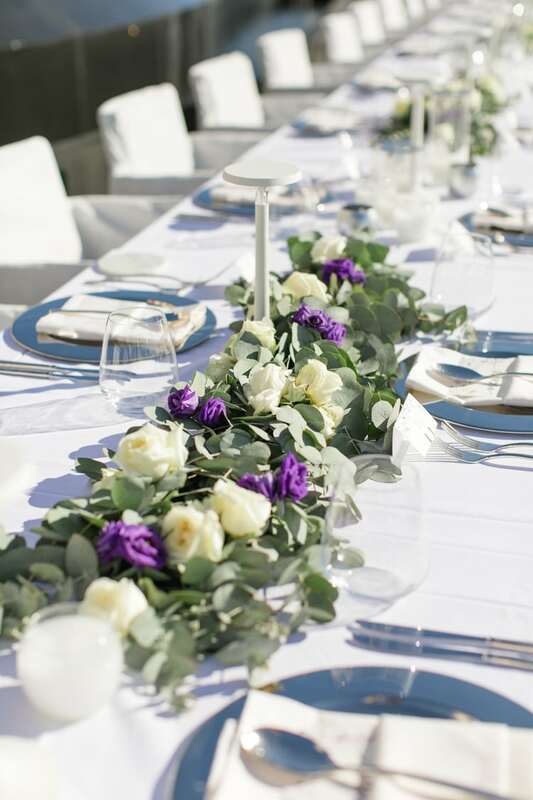 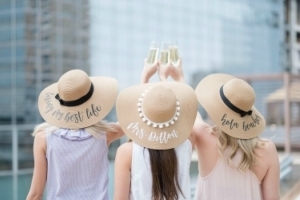 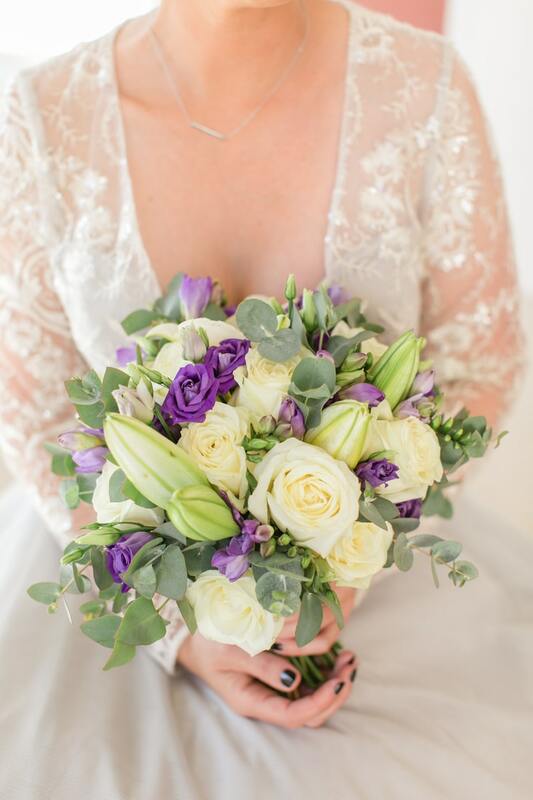 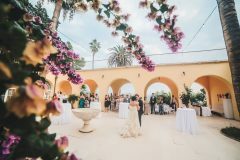 Hire a planner – they have local knowledge and will take care of the small details that you might not have thought of, take a lot of weight off your shoulders and give you advice that will definitely help you get the best prices, find the best vendors and endure the day runs smoothly. 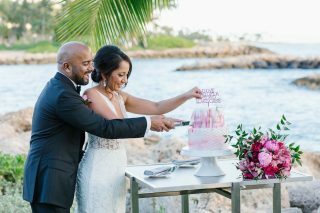 Meet your photographer in advance – take the time to have at least one skype call with your photographer and meet them in person before the wedding. 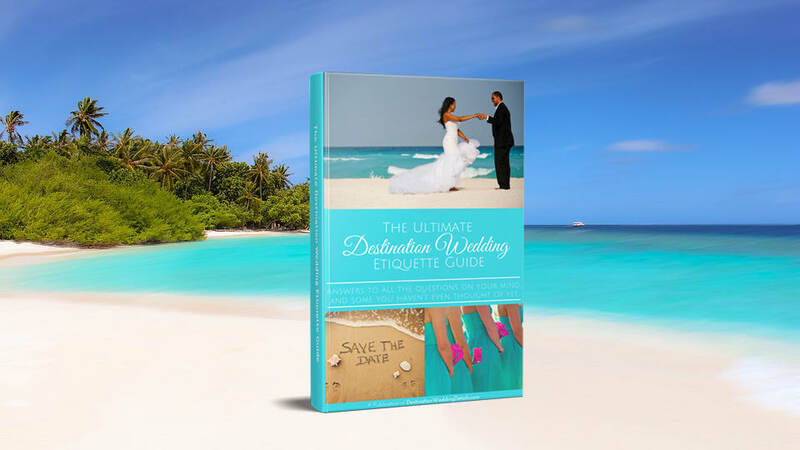 You will spend a lot of time with them on the day and it helps to be familiar with them. 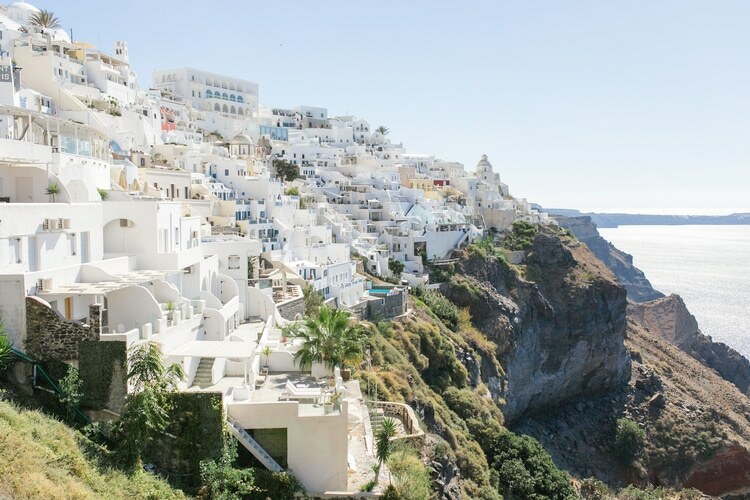 They will also take you to places you might have never been before, so you need to be able to trust them and feel comfortable with them. 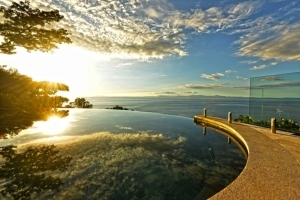 Relax and enjoy – accept that there will be things that you are not used to (you are in a different country, with a different culture and different people), things you will not be able to control or foresee. 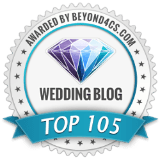 That’s ok!!! 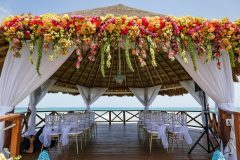 Try to relax, trust the people you hired will do the best for you and your guests and enjoy the ride.